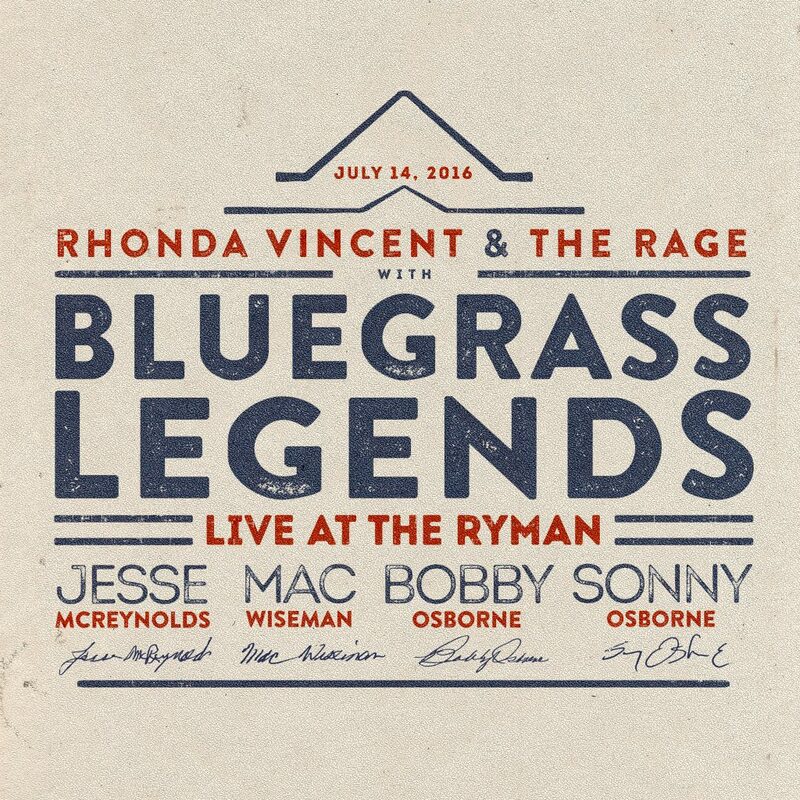 Rhonda Vincent & The Rage released Live at the Ryman Friday (July 13th), featuring bluegrass legends Jesse McReyolds, Mac Wiseman, Bobby Osborne and Sonny Osborne. The album was recorded during a live show at the legendary Ryman Auditorium and features 19 songs. The Queen of Bluegrass also released a special edition DVD of the performance, featuring behind the scenes footage and narration by Eddie Stubbs. My initial thought was to have them there for a Bluegrass Nights at the Ryman. I mean, how cool would it be to do the show with the Legends of Bluegrass? So I sent a note over to ask the Ryman to see what they thought, and they loved the idea. I called Mac, Jesse, and Bobby, and they all said that they would love to do it,” Vincent stated. For a complete list of tour dates and more information on Rhonda Vincent, visit her website at rhondavincent.com. You can also find her on Facebook and Twitter.